White Dwarf #166: my first issue. 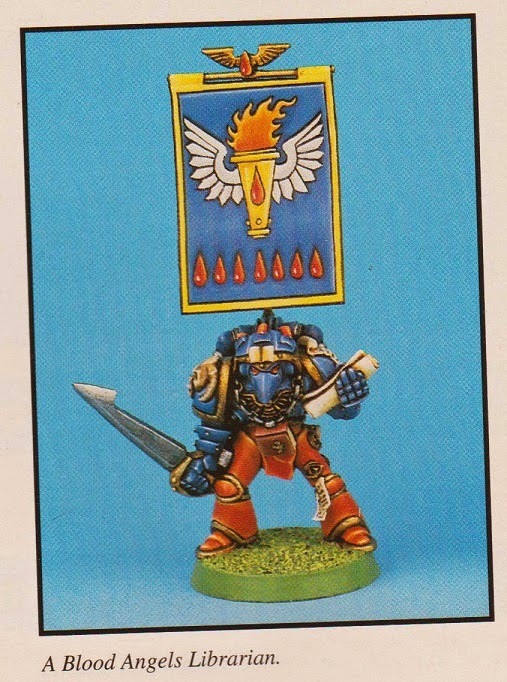 There are a few Space Marine miniatures shown in there that for me are absolutely iconic, and this is my version of one of them. That's a Marine Librarian, friends. He only took an hour or two to paint, I've since put some burnished gold on the emblem on his tome as it just looks brown in this picture. I have a banner pole lined up for him but need to source that banner. 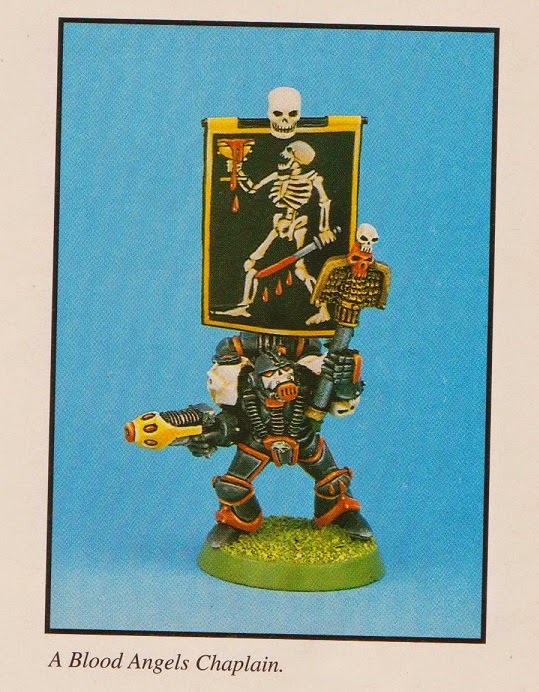 These are the other minis I referenced, unfortunately I don't have these guys in my collection (yet) but one day I'll get my grubby mits on them, mark my words. That banner (above) is one of the coolest things I've ever seen. A far cry from the modern Apothecary with all the crap that hangs off them and their backpack! That which is seen cannot be unseen, haha! It's a goddamn pita bread wrap! Top work mate! 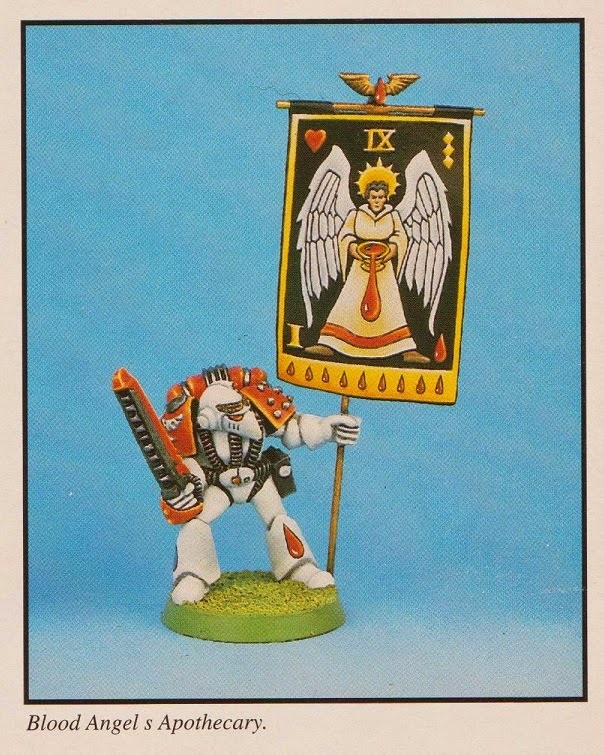 I love these old blood angels and your work really captures that retro vibe! !